We at LandMark Spatial Solutions believe that the Gospel of Jesus Christ is the single most important information that we could convey to you on this website or in person. Please click on the links to the right to learn more about how you can receive forgiveness for your sins, be reconciled to the God who created you, become a child of God, and receive eternal life when you leave this world. For those who have already believed the gospel, true success in this life (pictured by a great tree holding fast by flowing streams of water) will be determined by how well you know, understand, believe, and act on what God shows you to do. 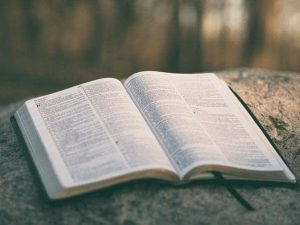 We believe that God’s word is the best means of determining God’s will for your life and so we have put together some information on the pages to the left that will help teach you how to dig into God’s word so that you may grow in your relationship with Jesus Christ.